One thing that made historical research bearable, even fun for me at times, was how I ran into interesting characters during my studies in Georgia history, people about whom I wished to learn more; began storing references to their activities; and, eventually, tried to flesh out their characters, either as part of my ongoing book research or, separately, in an article. In one particular case, the “character” I pursued was a pseudonymous essayist who signed himself “A Citizen.” This writer first appeared on the scene in 1783; his major production, Cursory Remarks on Men and Measures in Georgia, was “scattered about the streets of Savannah” in 1784; and subsequent contributions by “A Citizen,” his supporters, and his opponents stretched almost to the end of the 1780s. One reason I pursued this scribbler with such determination was that initially I thought he might have been John Wereat, who, I knew, had contributed to the pamphlet warfare surrounding his good friend General Lachlan McIntosh (and McIntosh’s brother, George) during the Revolution. I had been collecting information on Mr. Wereat for a while, hoping to learn more about him, and the possibility that he might have carried his pamphleteering activities into the post-Revolutionary world was exciting. I had hardly begun that exercise before it occurred to me that, because one theme of my blog was Georgia history, there was no real need for me to tackle the topic of the “A Citizen’s” identity by myself. Rather, in the spirit of the “documents-based essay question” (also known as the “DBQ”), a long-standing part of the Advanced Placement United States History examination that I had prepared students for over nearly four decades of teaching at an Atlanta “prep school,” I decided to offer my readers the opportunity to enlist in the quest to identify “A Citizen,” through what I call an “historical problem” (i.e., like the “DBQ,” but longer and more detailed). Here’s the plan: over the next few months, I plan to put up a series of posts summarizing–and excerpting from primary sources–what I’ve learned about “A Citizen” and his critics. At the end of the series, I’ll invite you give your answer to the question, “Who was ‘A Citizen?,'” and provide my own. It’ll be fun! 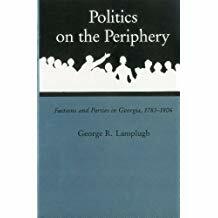 Some of you may remember that I published several essays on “Georgia and the American Revolution” a while ago. 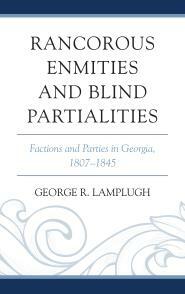 Well, the final one in that series, on “The Factious Whigs of Revolutionary Georgia,” forms the immediate background for this “historical problem” (i.e., the material that, in numerous “DBQs,” would be summarized in an introductory paragraph as a way to establish the historical context for the documents-based essay question that follows, but I’m sure my readers expect more of a challenge). Your assignment, should you choose to accept it, is to click on the link in the preceding paragraph; read the essay on Georgia’s “factious Whigs”; and prepare for the next post, which will introduce you to “A Citizen” and his initial foray into journalistic combat in Savannah in 1783–then it’ll be off to the scholarly races! 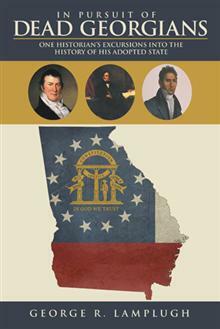 By the way, please read the post about the “factious Whigs” carefully, because you never know when there might be a quiz. . . . Good luck–and, in honor of the latest “Star Wars” movie, may the force (of post-Revolutionary Georgia history) be with you! This entry was posted in American History, American Revolution, Education, Georgia History, Historical Reflection, History, History Curriculum, Prep School, prep school teaching with a PhD, Research, Retirement, Southern (Georgia) History, Southern History, Teaching, Uncategorized and tagged Documents-based essay question, Georgia History, Historical Problem: "Who Was 'A Citizen'" (1784), John Wereat. Bookmark the permalink.